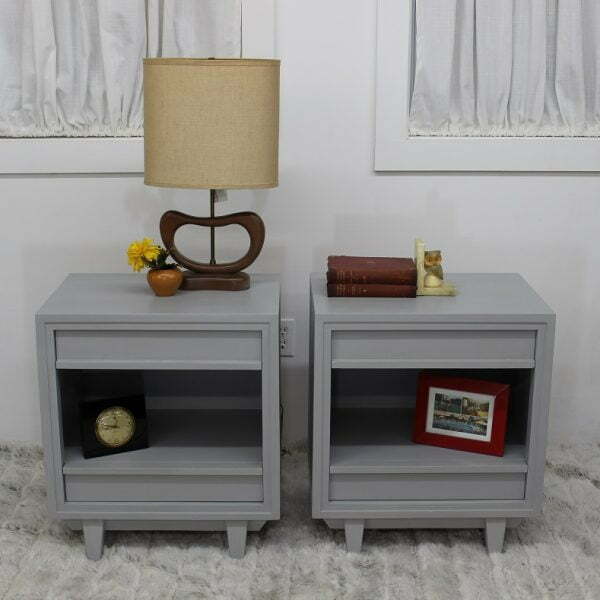 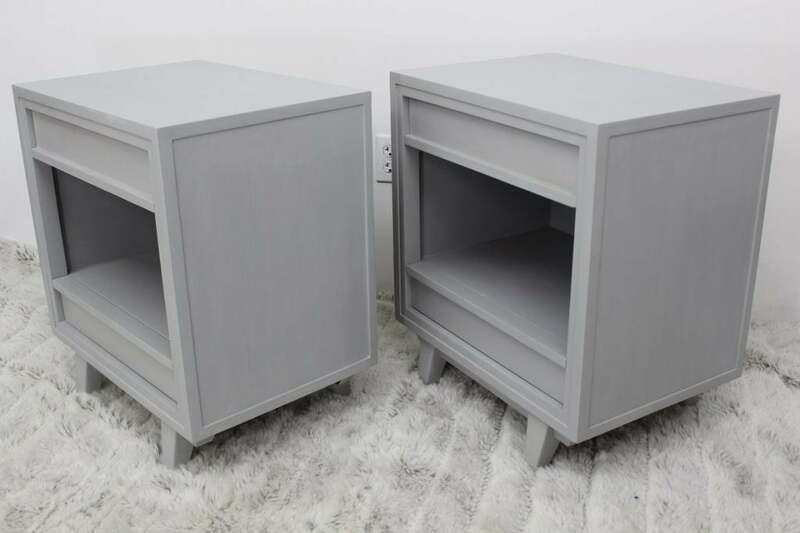 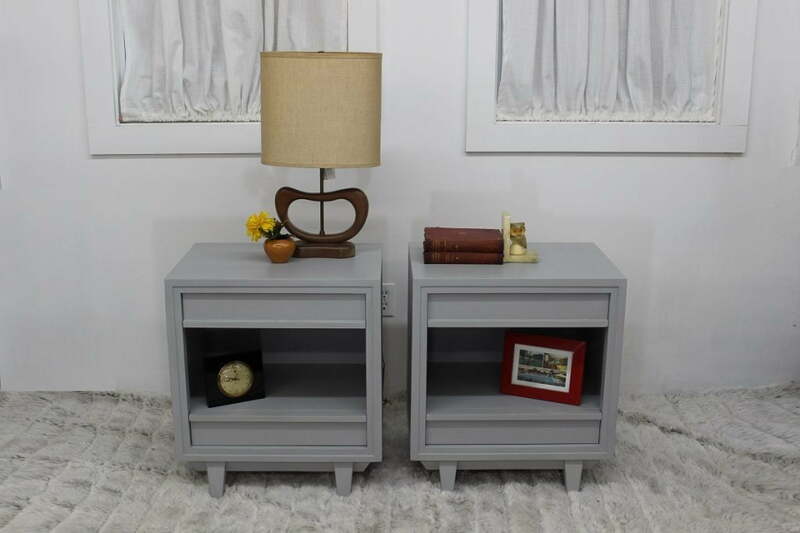 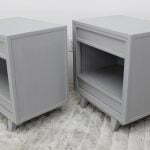 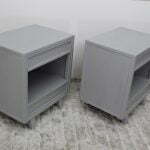 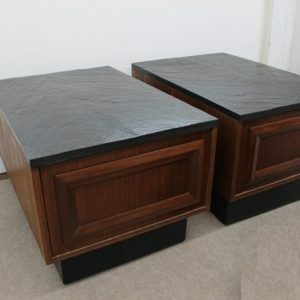 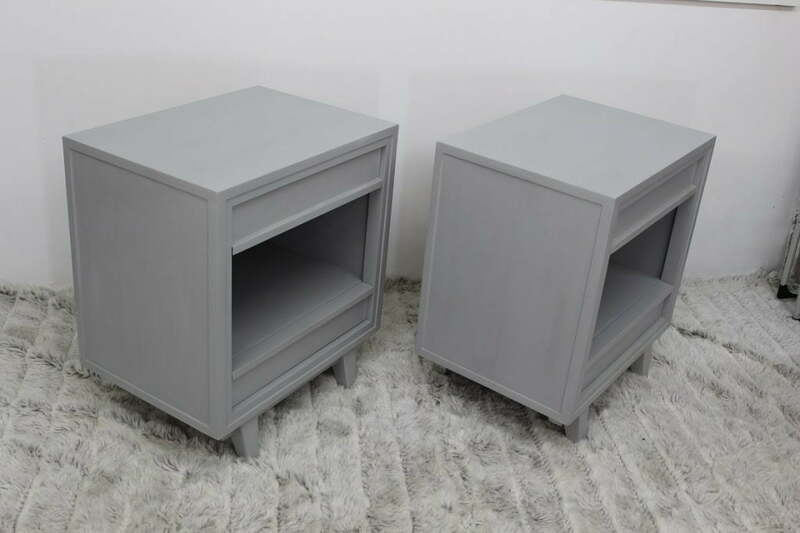 Here for you a nice pair of end tables / nightstands produced in the 1960’s by the Rway company. 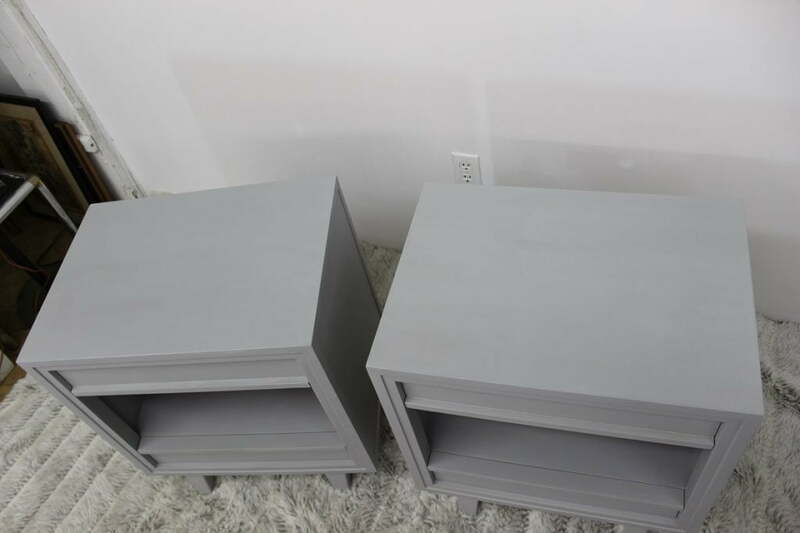 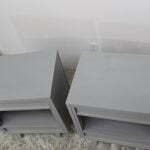 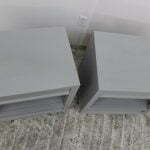 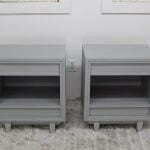 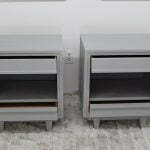 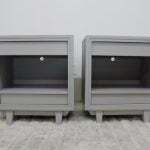 They have been painted in a light gray color to accentuate the clean lines that they have. 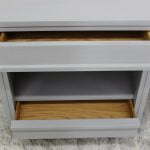 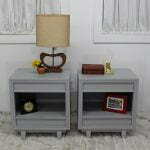 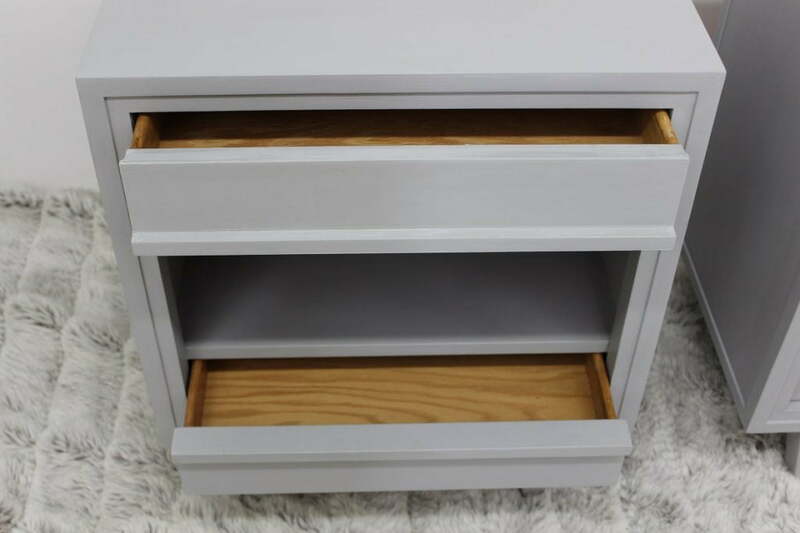 Each end table / nightstand has 2 drawers and a storage or display space in the middle. 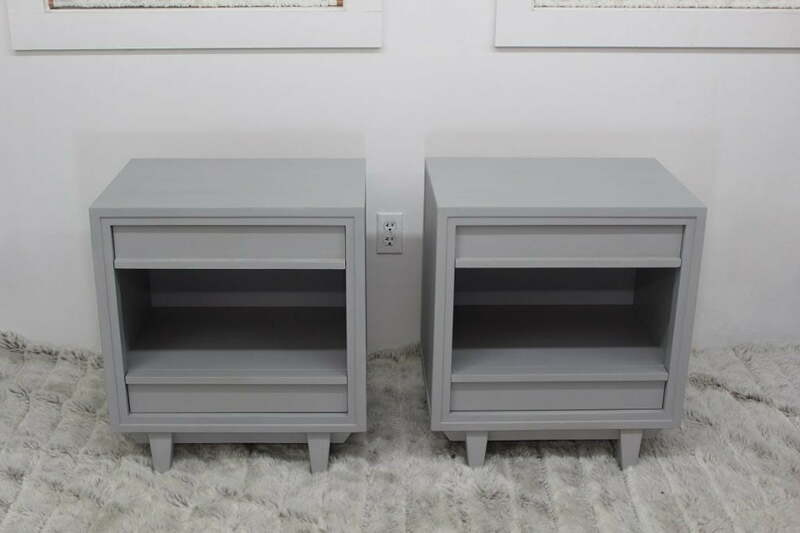 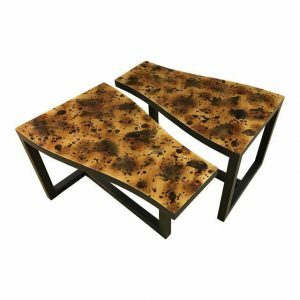 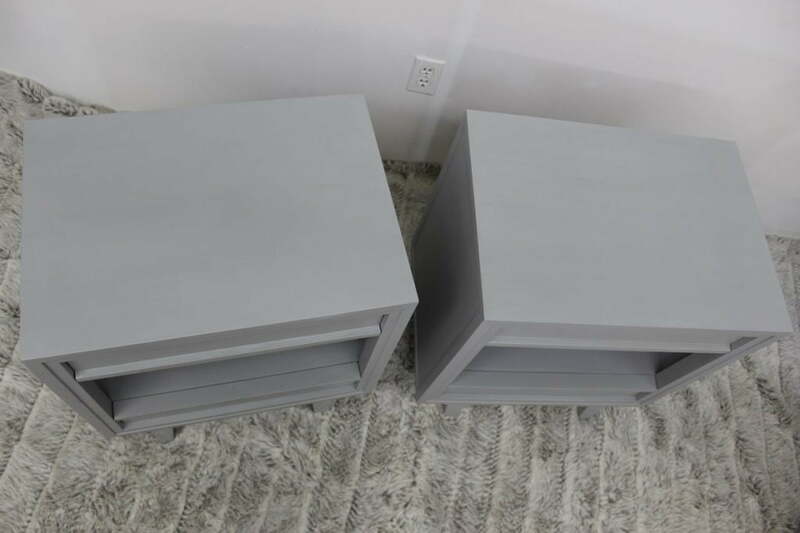 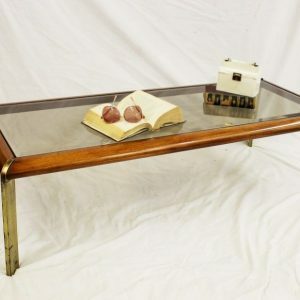 These cute tables are of solid construction. 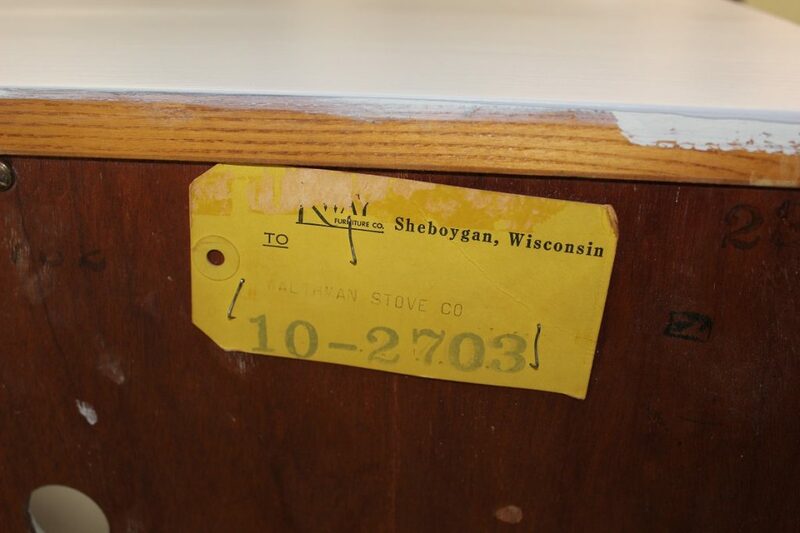 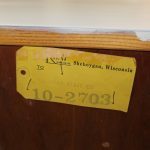 The back of one of them still has the paper label attached and it reads Rway Furniture Co. Sheboyan Wisconsin. 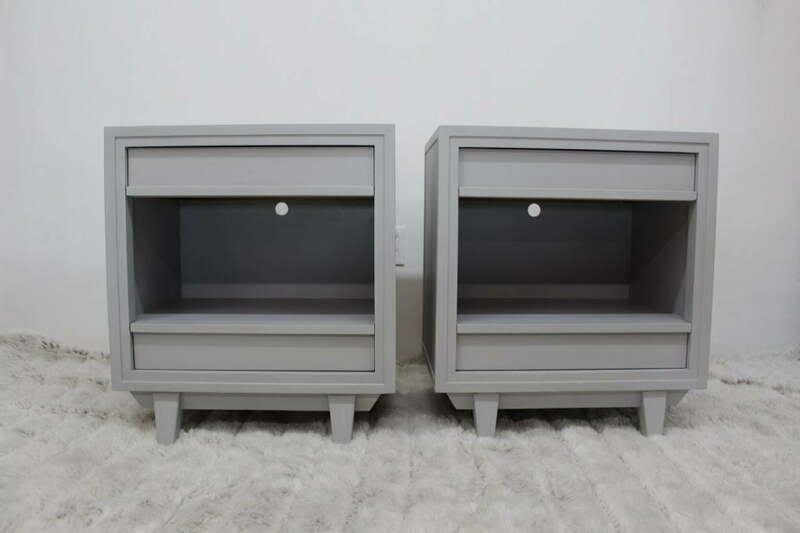 And pay attention to the little holes on the backs, they are there to let you plug in your vintage radio, your alarm clock or simply a nice light to illuminate the framed pictures of your loved ones. 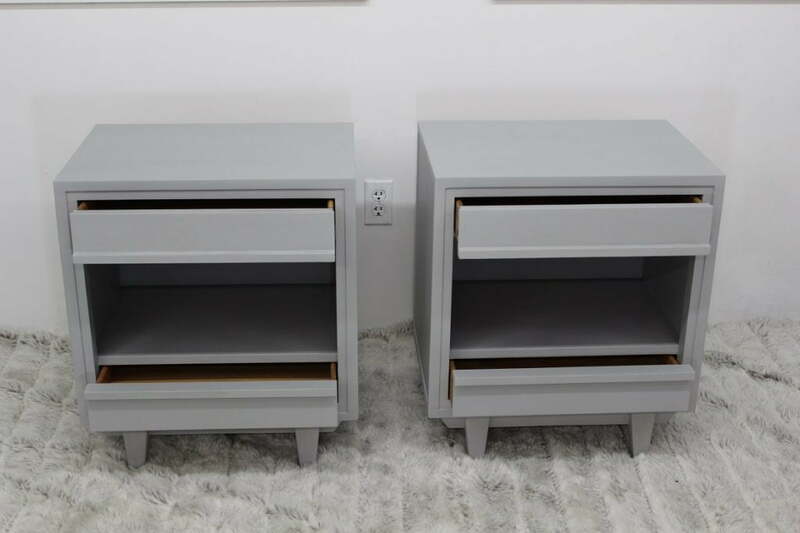 Boy, they really thought about everything when they designed these beauties.